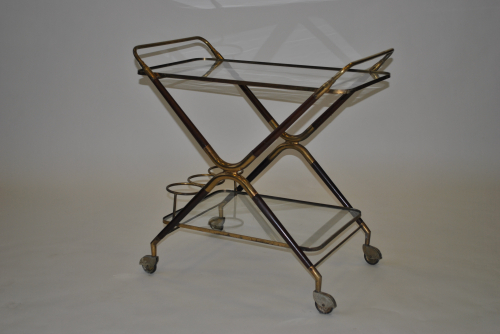 Fabulous serving / cocktail trolley. Brass and wood. 2 tiers with 3 bottle holders. By Cesare Lacca c 1950.